My #coffeeandcard attendees surpassed themselves with their cards made this week. 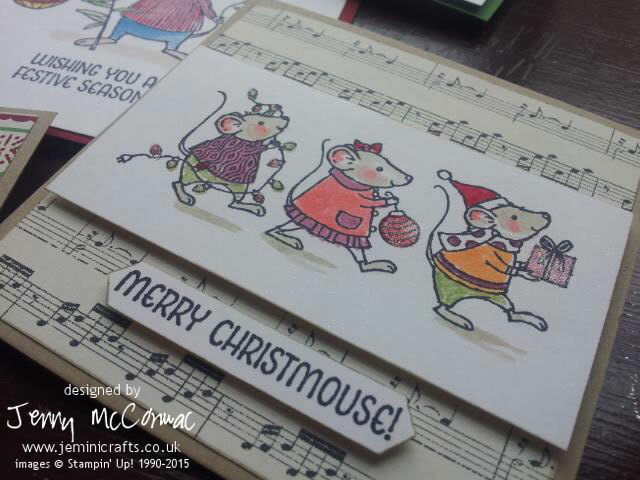 We used the Merry Mice stamp set (previously posted), and they had great fun stamping and colouring the 3 different images. 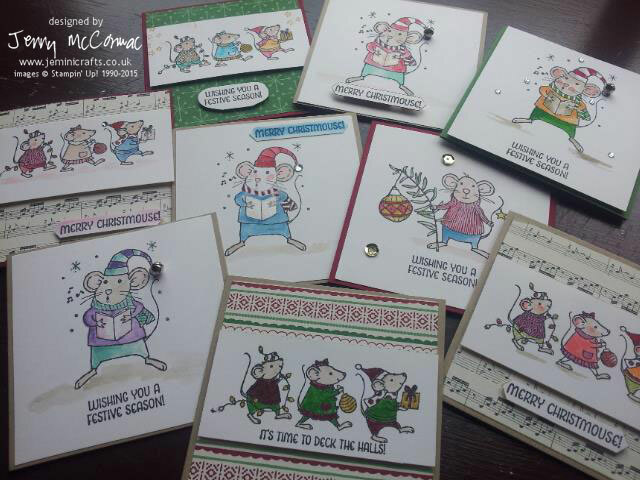 Here are some of their finished cards. 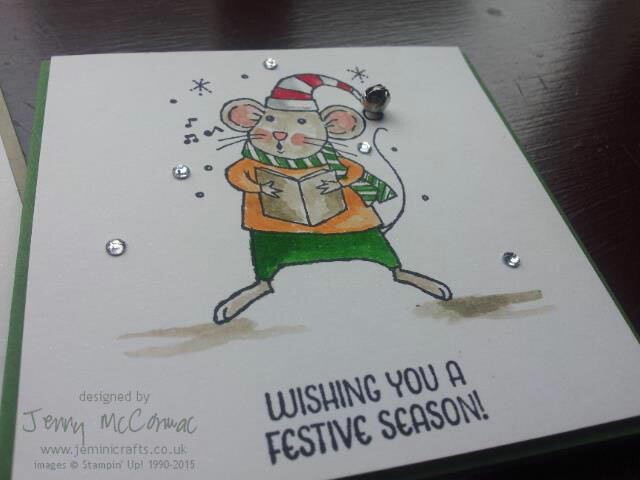 We added a little mini jingle bell to his hat for a little bit more interest. I LOVE their colour choices. I can't wait to see what the ladies in Brackley make tomorrow.